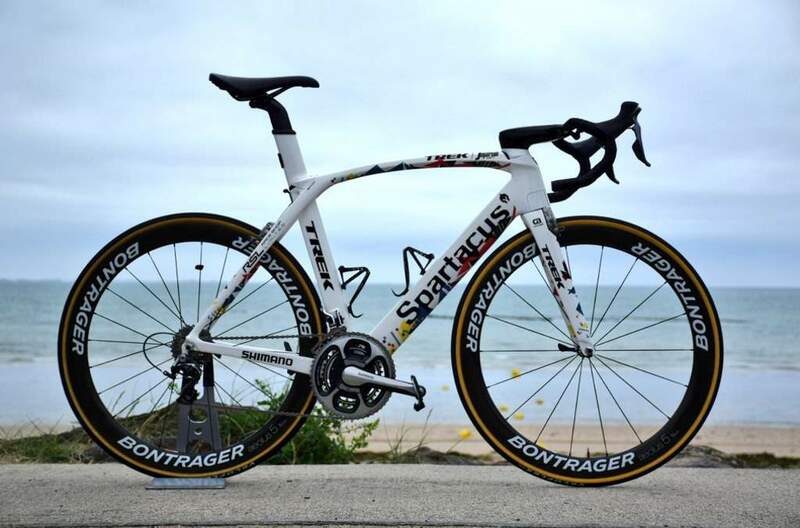 On the down tube, his nickname “Spartacus” takes place instead of the Trek label. On the top tube of the bike, his entire achievements are summarized: earning the nickname “Spartacus”, 100+ professional podiums (including 7 individual stages at the Tour de France – 2004, twice in 2007, 2008, 2009, 2010, 2012), “King of the classics”, gold medal olympian, and gold medal at the UCI Road World championships. On the seat stays, a few more victories of him: Paris-Roubaix x 2 (? ), Milan-San Remo, Swiss Time-Trial Championships x 9 and Swiss Road Championships x 2. 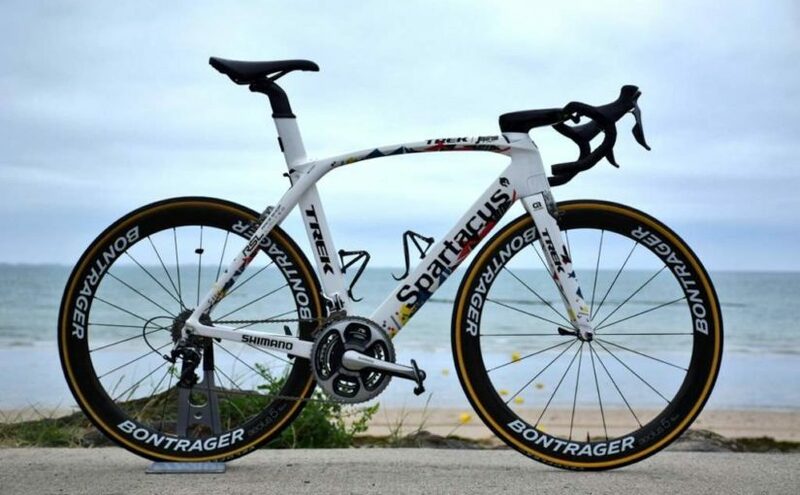 Cancellara has won the opening stage of the Tour de France five times and has led the race for 29 days total, which is the most of any rider who has not won the Tour. 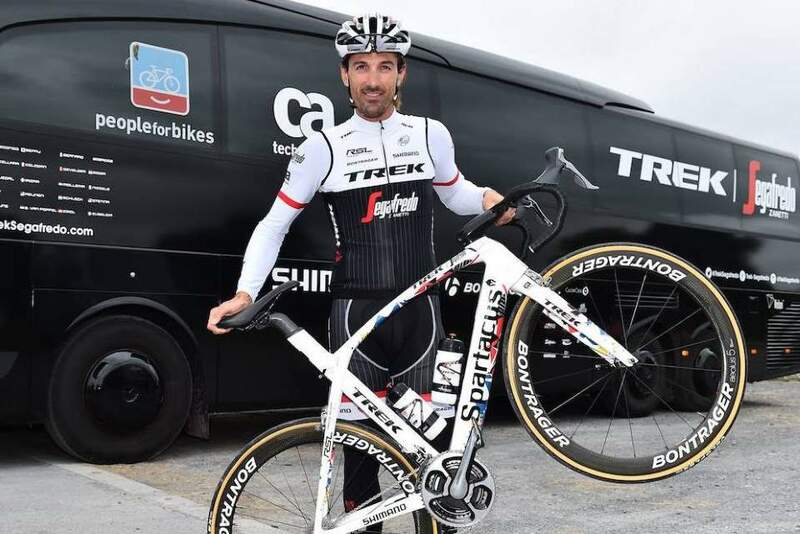 Cancellara’s classics victories: Paris–Roubaix (2006, 2010, 2013), Milan–San Remo (2008), Strade Bianche (2008, 2012, 2016), Tour of Flanders (2010, 2013, 2014) and E3 Harelbeke (2010, 2011, 2013). In 2008, he won gold in the individual time trial and silver in the men’s road race at the Summer Olympics. 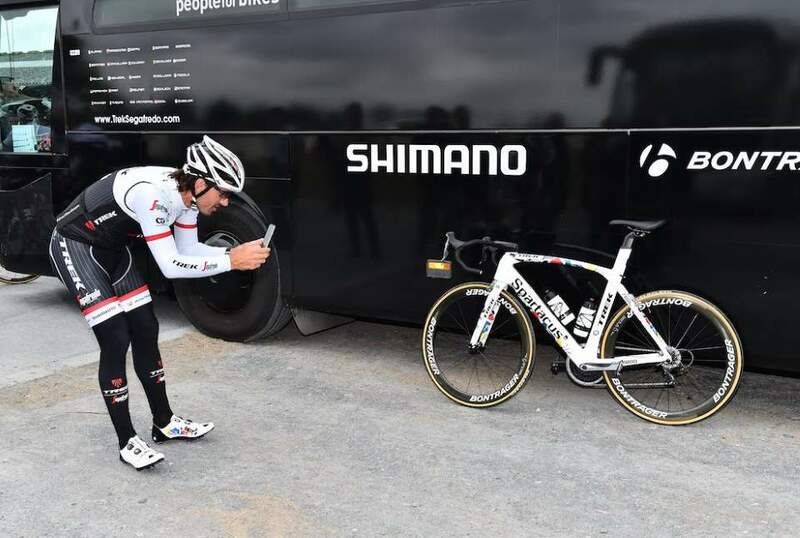 Cancellara has been the time trial world champion four times in his career: 2006, 2007, 2009 and 2010. Cancellara won Paris-Roubaix 3 times, but in 2006, Leif Hoste, Peter Van Petegem and Vladimir Gusev were disqualified for riding through a closed train crossing 10 km before the finish and just ahead of an approaching freight train. Fabian Cancellara won and Tom Boonen and Alessandro Ballan were given the remaining places on the podium. I think Cancellara doesn’t count that 2006 edition as a “victory”.